ESC control switch designed to provide temporary control to the motor controller in between flying sessions, without removing the battery pack. It cuts off power from the controller?s BEC circuitry to the receiver. Prevents accidental motor run due to interference and unintentional transmitter control while the plane is in the pit area. 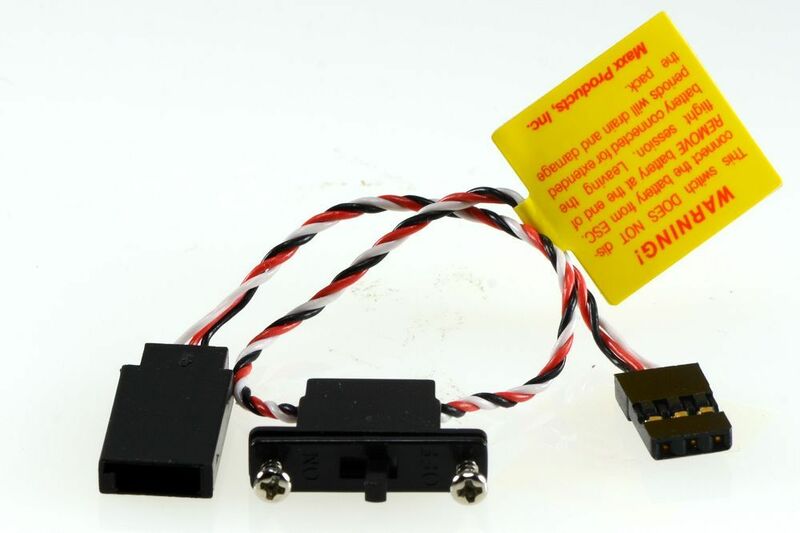 Compatible with all ESC?s, 2 Amp continuous max.